Autoglym products are manufactured in the UK, in Letchworth. From here they are filled, packed and shipped all over the globe from America to Australia and everywhere in between. They began their quest to revolutionise car care in 1965 at a time when using car wax and polish was a difficult and laborious process. They launched Radiant Wax Polish and quickly gained a loyal following of professional users impressed by the finish and the ease of use. After numerous requests from the public they launched Silicone Resin Polish and for the first time people could enjoy the ease of use and depth of shine that was previously only available to the motor trade. 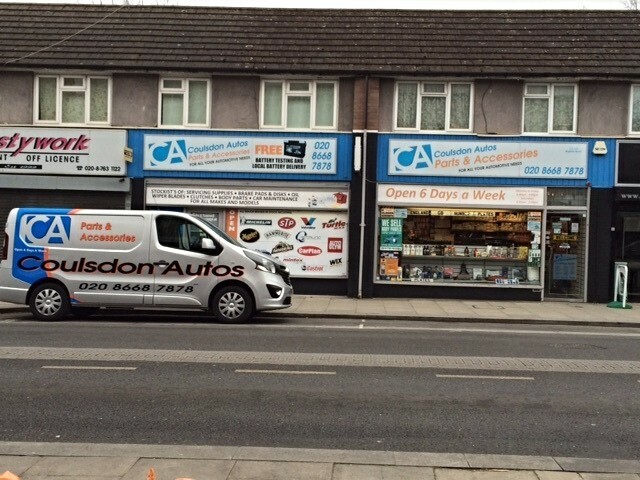 They now manufacture over 100 products for the car enthusiast, Sunday Morning Man, valeters and the motor trade. Everything they do is to give you the best products to achieve a truly stunning finish that you can be proud of. 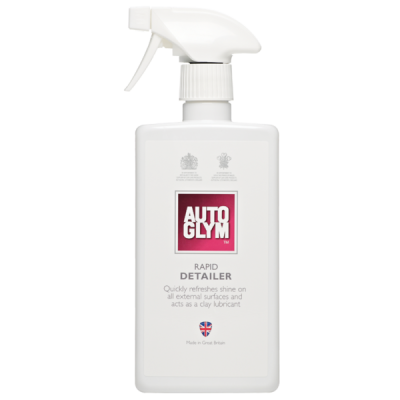 Whether its interior, exterior, detailing or just need a chamois to dry with Auto Glym do it all. 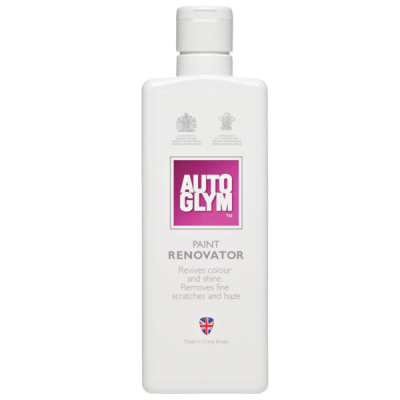 Paint Renovator is for use on scratches, scuffs, heavily oxidised or faded paintwork. It is not an all over polish; it should only be used on specific areas of paintwork damage. Paint Renovator is silicone free and will not interfere with repainting. It comes in a 325ml bottle. During warm weather the road surface can disintegrate and small specks of tar are flicked onto your bodywork. These spots show up especially well on light coloured cars and can ruin otherwise perfect paint. Intensive Tar Remover will also remove adhesive residues, fuel stains from paintwork and tree sap. If you are serious about your paintwork, you have probably heard of a clay bar. The clay bar removes bonded contaminants, the stubborn deposits that stick to paintwork, dulling the finish and affecting the gloss. 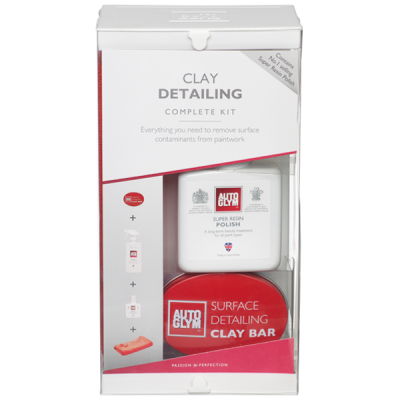 The Clay Detailing Complete Kit will help you achieve an incredible silky finish. Dull, cloudy headlight lenses can spoil the face of a car and hamper the performance of the bulbs. 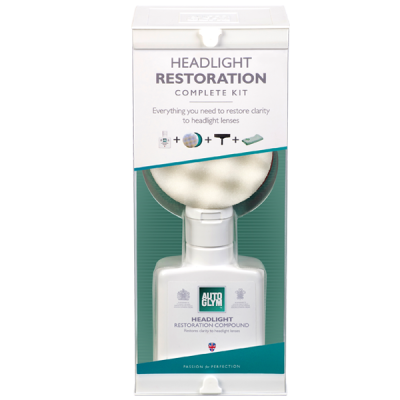 Headlight Restoration System is an effective solution to restore optical clarity to your headlights. It won 2016 'Best Buy' Powered Headlight Restoration Kit group test. This is a brilliant video to show you how good and how easy it is to do. Rapid Detailer removes light dirt, restores shine and leaves a layer of polymeric protection on surfaces. If your car is in between clean and dirty, Rapid Detailer is perfect. It will not remove or affect polishes, waxes or sealants and actually tops up existing protection. You can also apply it to rubber, plastic, bare metal and chrome. ​It comes in a 500ml spray bottle.